It's arrived! 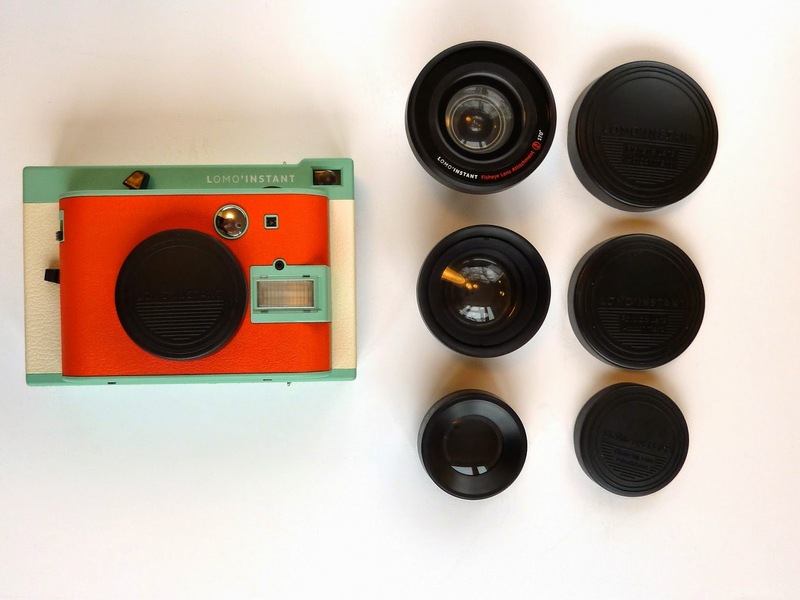 Feels like I've been waiting for the Lomography Lomo'Instant camera forever - I backed the Kickstarter project early on in June, choosing the special Kickstarter edition of the camera (for specs, see here). But yesterday it finally arrived! I was totally giddy as I opened the package. I thought I would post some of my first thoughts here for those of you who are still waiting for your camera to arrive, or are deciding whether to buy one. Now, I have only spent an hour or so with my Lomo'Instant so far, so this will be far from an exhaustive review. Just some initial impressions and a few test shots - I'm sure there will be more to come in later posts as I get to know my new friend better! The camera is large. At 14 x 10 cm it is significantly larger than it's Instax counterpart, the Instax mini 90 Neo Classic. I like how the rectangular proportions are more reminiscent of a regular camera (whereas the Instax 90 is almost square) but nevertheless, the extra bulk will be a challenge. 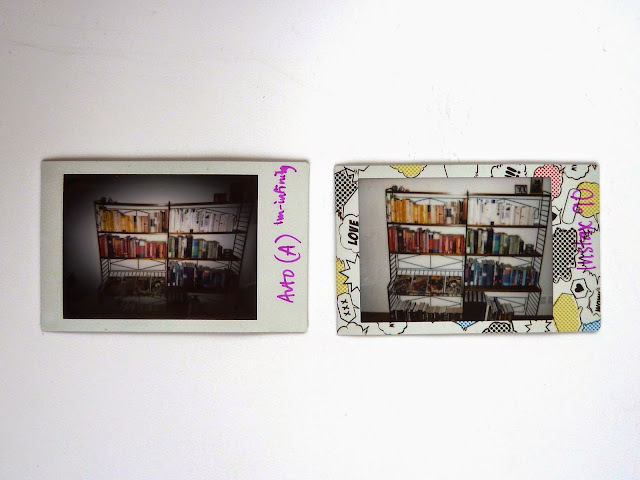 Despite it's size, the Lomo'instant is very light. Again, compared to the mini 90 this was a surprise. As a novice I figured more features, more weight, right? But not so! Straight out of the box the Lomo'instant is actually lighter, but once you insert batteries and attach a lens it outweighs the Instax by about 100 grams. Which is still not that much, so that's fantastic! As advertised, the camera is completely analog. I love this fact, just holding it feels like you're catching a little piece of fleeting history. This also means though (and I know, I should have realized, but it didn't hit me until I actually held the camera), the camera will require regular alkaline batteries.Took a bit of scrambling until I found some in a drawer! Lots of moving parts! Another thing which I was expecting, but which influenced my over all feel for the camera (see more on this below). The lenses! Having never owned a SLR/D-SLR camera before, I first found the multitude of lenses a bit intimidating. But they are actually quite easy to use and the do lend a very "professional" feel to the camera. More on the different lenses will have to wait for another post though, there's so much to discuss! Obviously this is just one of a million ways you can shoot with the Lomo'Instant, but I still think it captures something essential about the camera. The two shots have a completely different feel to them! While the Instax shot looks almost like it could have been shot by a low quality digital camera, the Lomo'Instant shot has a much more "lomo" feel. The overall image is darker and there's tons of vignetting. You can also see how the wide-angle lens warps the image slightly (making the bookcase look crooked). This means that just whipping out the Lomo'Instant to snap a quick photo will be challenging - getting the best shot will always include some fiddling around with the settings. Whereas with the Instax I can usually get a decent shot in auto mode, the Lomo'Instant challenges me and forces me to learn - which is something I like! In a way, this does take some of the "instant" out of "instant photography", but in the end it really depends on what you plan to use the camera for. I had this expectation in the back of my mind when I ordered the Lomo'Instant, and since I already had the mini 90 I was looking for something that could complement, rather than replace, it. It does mean though that the Lomo'instant will probably get less use than the Instax - personally, I see myself using it more for artistic exploration, longer photo sessions and experiments, rather than as a "party trick". One reason for this is the sheer complexity of the camera. With three different lenses and two packs of tiny color filters (I will need to find some way to store these or I can see them getting lost in the black hole that is my hand bag), the Lomo'Instant will be less likely to get tossed in my bag as I head out for dinner, a party or some sightseeing. Another reason is that, as I mentioned, the camera has lots of moving parts. The shutter itself is a lever, not a button as on most modern cameras. Then there's the focusing zone lever and the way the front (orange, in my case) part of the camera sort of pops out when you change the focusing zone setting; there's the MX switch, and the exposure compensation dial. Maybe this is just me being overly protective of my new friend, but it does make the camera feel more fragile. 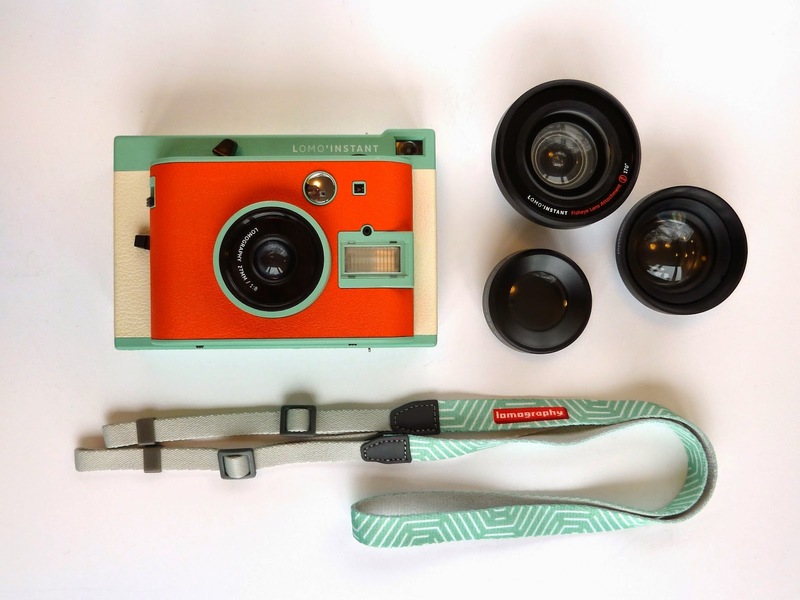 I will definitely need to look for a good camera bag for my Lomo'Instant - I'm hoping that the awesome folks over at Lomography will get to work on one soon! Some more test shots: The above are a couple of quick shots I took of Keith this morning (which is why he looks so adorably sleepy), using the portrait lens and a couple of color filters. 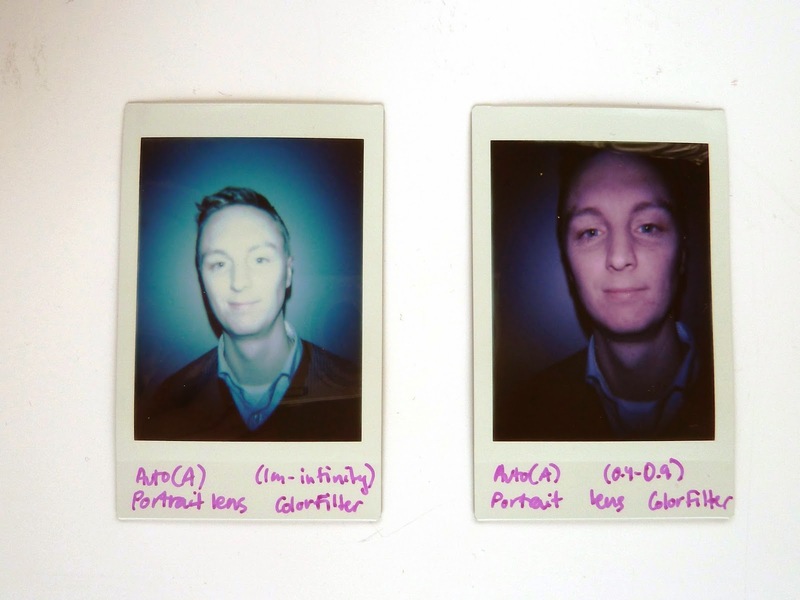 I wanted to show the different effects you get with the two focusing modes (1m-infinity and 0.4-0.9 m, respectively). The first shot is taken with the longer focusing distance (which is the default), and even though I felt like I was looking up his nose the result doesn't show it at all. The second shot is taken at the same distance (I'm guessing about 30 cm) but using the shorter focusing range. Whoa! Huge difference in size and detail rendering. It's easy to forget this setting if, like me, you're used to digital cameras and auto focusing. But I will have to learn to remember it! Also, a side note: I LOVE the color filters! The camera comes with four filters (blue, red, purple and yellow) and four additional ones were sent to all Kickstarter backers as a reward for reaching one of the stretch goals. They are all fantastic! And an added bonus: Since the camera has an unlimited multiple exposure setting, you can mix the colors by using one color filter for your first MX shot, and another for the second. How cool is that?? I'm hoping a mix of red and purple might get me some awesome pink MX selfies! Whew, that was a long post! So what's the conclusion? All in all, if you're looking for a convenient way to take quick snapshots on the go, then I'd say you're better off sticking with the Instax mini 90 or the Instax mini 8. 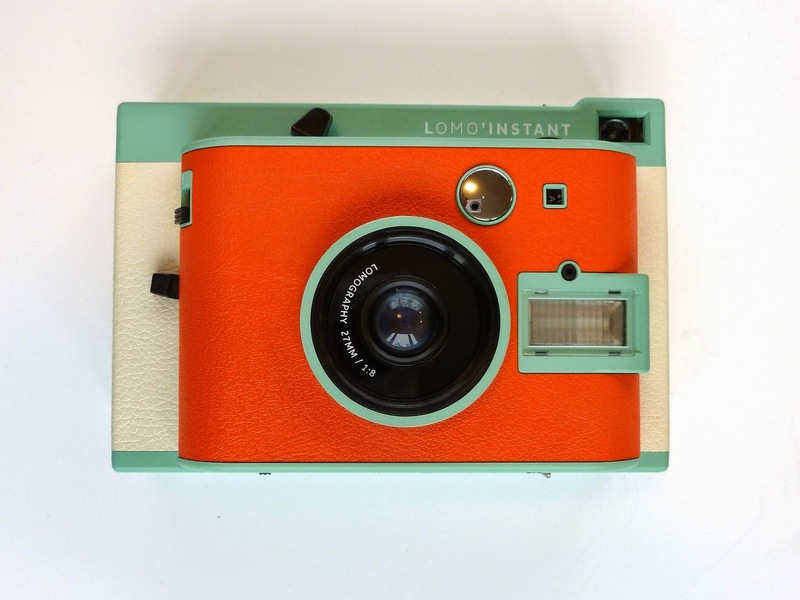 But if you want the chance to get more artistic and imaginative, by all means - the Lomo'Instant is for you! Great post! Thanks for all the tips & info. I've been asking myself if i should go for it or not but maybe I should stop thinking and just go for it! 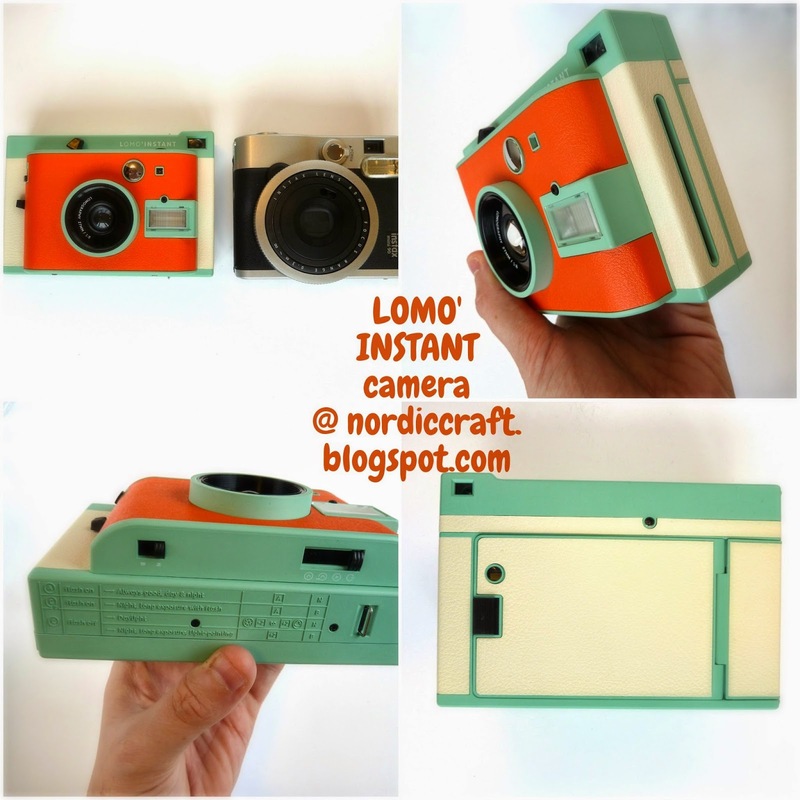 Very nice review - we just got ours recently as well and just posted a review of the Lomo Instant as well - so much fun!